At Decks R Us, we’re proud to be the premier composite deck construction company in the local area. With years of experience, we are leaders in our field. We offer a wide range of composite deck options to meet the varied needs of our diverse clientele. To find out more about our options, contact us today. Unlike many competitors, we’re not here to give you a slapped-together deck that looks identical to every other one on the block. When you choose us, we provide a genuine, handcrafted custom deck—a one-of-a-kind creation that you’ll be proud to call your own. We customize every element of your deck to suit your style and meet your needs. Whether you want a multi-level resin deck, a front terrace, or a covered deck, we have the skill and expertise to realize your vision and build the deck of your dreams. We design beautiful, natural-looking composite decks that enhance the beauty of your surroundings. Every deck we build is a testament to our keen sense of style and immaculate eye for detail. What’s more, we provide detailed project plans to ensure that you approve of every element of your deck before we build it. With us, you can rest assured that there are no surprises. You’ll get your deck built exactly the way you want it. You don’t want a new composite deck for it to fall apart only after a few years. And although wood composites are remarkably durable, shoddy craftsmanship and inferior-quality hardware can still compromise your deck’s integrity. At Decks R Us, we ensure your deck is built properly so that it lasts as long as possible. We don’t believe in cutting corners. 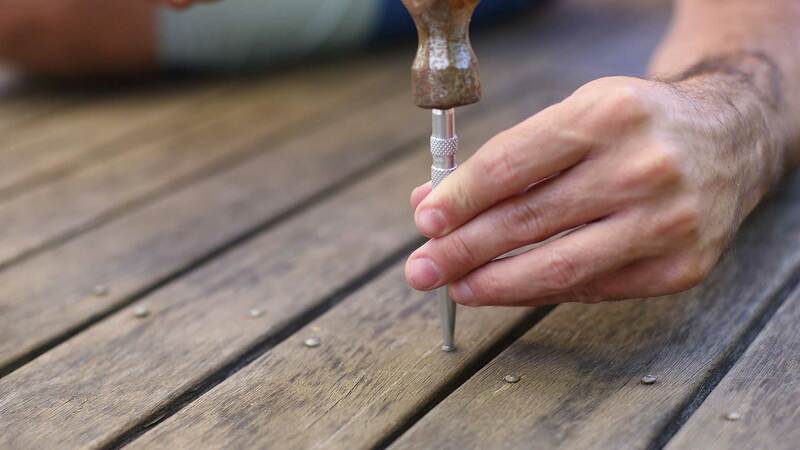 Instead, we believe in using only the highest-grade wood composites, premium construction materials, and high-quality hardware to ensure that your deck is tough and durable. And we’ll use our expert craftsmanship to make sure it looks immaculate for years to come. We build the best composite decks in the area. We know it, our clients know it, and we want you to know it too. We want you to be able to use our services worry-free. That’s why we offer a 100% customer satisfaction guarantee on all our services. If you’re not satisfied, then neither are we. And we’ll work with you to fix whatever the issue may be. Why wait? If you’re considering a custom composite deck, contact us today.